Photographs by Shelby Lee Adams. Text by Vicki Goldberg. University Press Of Mississippi, Jackson, 2003. 108 pp., 80 duotone illustrations, 11x10½". This is the third book by Adams on the Appalachian region of Kentucky, his home state. 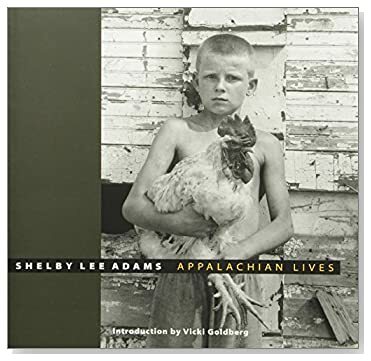 In Appalachian Lives, he continues to photograph the people that are dear to him, the subjects of his work for over 25 years. In this most recent group of images, the ever-present outside world—the world of Wal-Mart and fast food—reveals it's steady penetration of all levels of society. Adams' candid text discusses his fascination with the region and his working methods, particularly how he achieves the high level of trust with which these families endow him. A brilliant portrait of a rural people. Read Publisher's Description.